Music Together's mission stems from a fundamental principle that all children are musical. Our belief is music is a basic skill of life like walking and talking, and that all children can learn to sing in tune, keep a beat, and participate with confidence and pleasure. Classes emphasize actual musical experiences instead of concepts about music, and introduce children to the pleasures of making music rather than passively listening to it from tapes, CDs, or television. Just as children learn to talk by having adults that love them talk to them, they also learn to sing and make music from their parents and caregivers sharing with them. This is why adult participation is integral to Music Together. Setting an example as an enthusiastic participator in music activities is the best thing any parent or caregiver can do to help set a child on the road to a lifelong love of music. Early childhood educators recommend mixed-age groupings for social development as well, and the mixture of adults and children creates a family-style gathering where music making is shared through participation rather than performance. The older children enjoy and benefit from being leaders and interacting with the younger children. And, in the case of siblings, music becomes an activity they can share together at home even when there is a big age difference. This environment facilitates children learning through play and immersion, and parents learn to recognize different stages of musical development and to foster their children's growth. There are nine different song collections, which means a family could take classes for three years without repeating a collection. 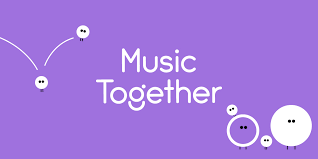 Music Together was founded in 1987 by Kenneth K. Guilmartin in Princeton, New Jersey. In the 1980s, Ken was a working theatre composer and music educator who was drawn to the field of early childhood music education while working as an associate editor for his uncle's music publishing business, Birch Tree Group. During this time, Ken observed that children's music experiences were usually limited to passive music listening; these children were growing up with little or no opportunity for live and playful music making. This leads to delays in the development of their basic music skills, arriving at elementary school unable to sing in tune or move in a rhythmically accurate way. Searching for a way to counteract this trend, Ken had the insight to apply what he learned from early childhood education experts to music education for the very young. In 1985, he founded the Center for Music and Young Children (CMYC) to conduct the early childhood music development research which later spawned the Music Together program.While attending a 1986 Edwin Gordon seminar on music learning in children, Ken met Lili Levinowitz, Ph.D., then-director of the Children's Music Development Program at Temple University and an experienced researcher. Lili was a like-minded advocate for non-formal music experiences for young children and soon the two began to develop the unique, musically-rich curriculum that would become known as Music Together. 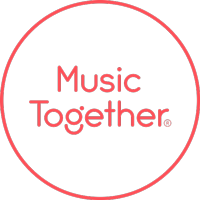 Music Together teachers now serve communities in the United States and 40 other countries around the world. Visit www.musictogether.com for more information.